Stylish printed pocket square finished with a hand-rolled hem. Stylish printed pocket square. This luxury silk pocket square adds a pop of colour to a gentleman’s outfit. 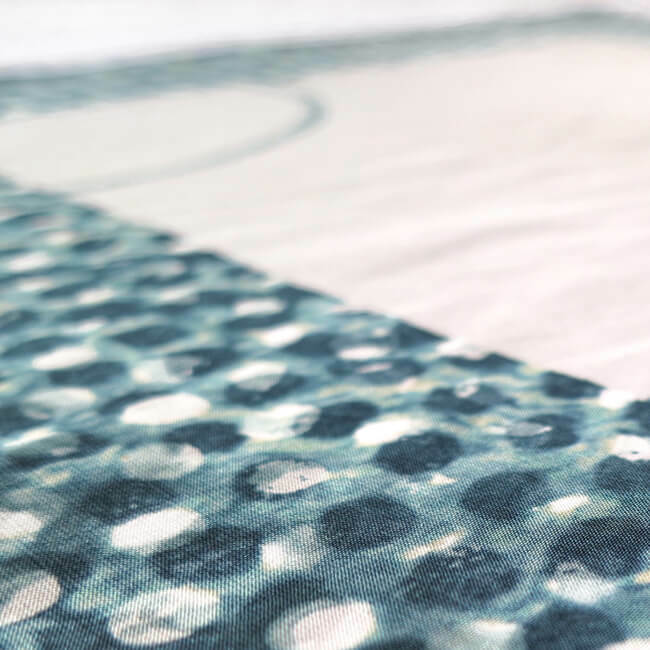 Finished with a hand-rolled hem, this square can be wrapped/folded to show the printed details in a variety of ways. 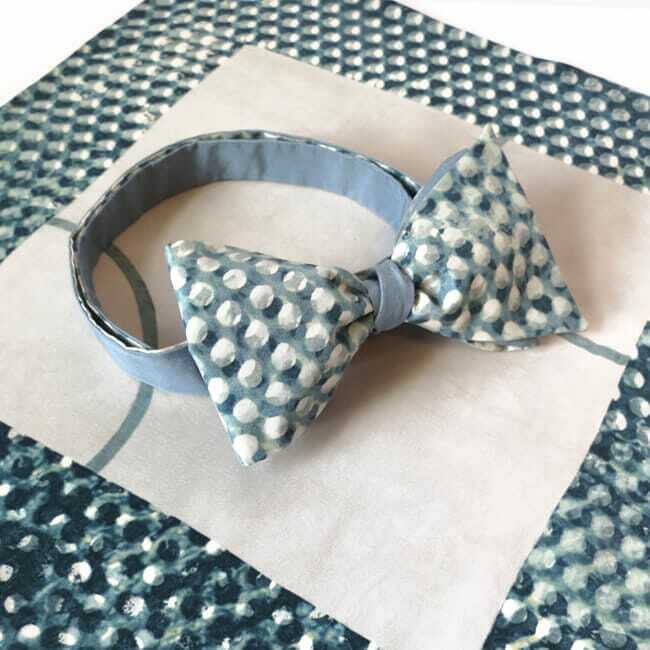 Each pocket square is printed by overlaying pattern pieces in different ways to create accessories which are all individual. 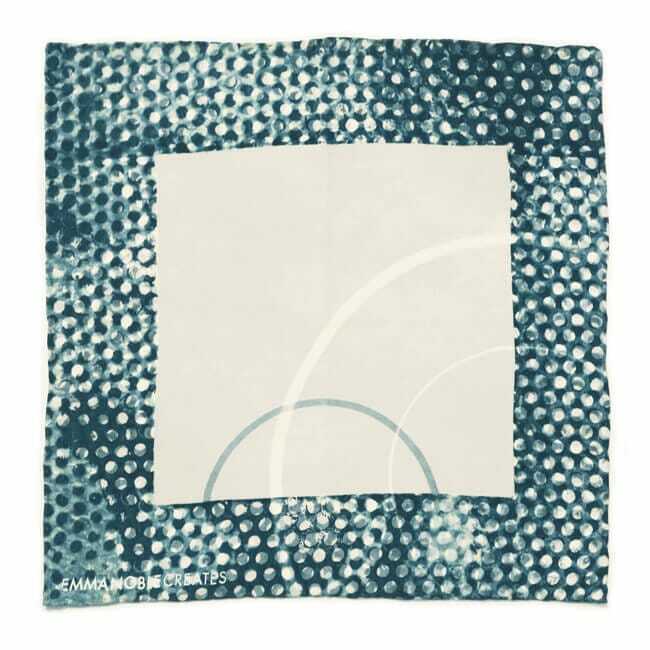 This dotted pattern pocket square, seen here in blue, can be made to order in a variety of colourways. Matching ties/bows and cufflinks also available.